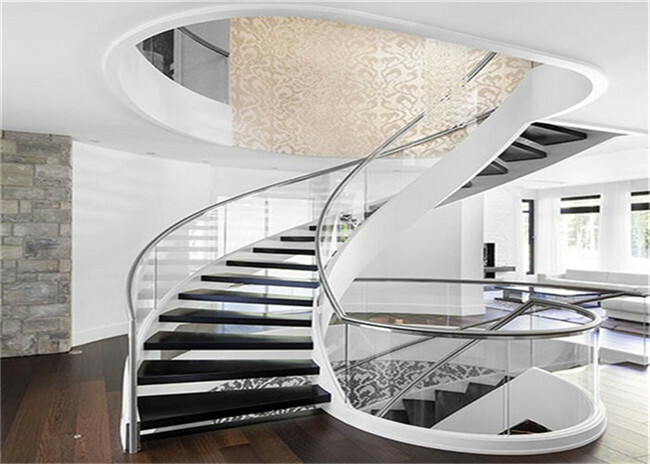 A curved staircase, often referred to as a helical staircase, leads users upstairs in a graceful flowing arc. Unlike spiral staircases, a curved staircase doesn’t require a fixed central column and frequently features two rolled stringers with treads attached between them. Due to the flexibility associated with curved stair design, this option is found in a variety of settings, from large commercial office spaces the private residences. A variety of materials are used in curved staircase design, the vast majority of woods combine well with stainless steel, while concrete is also a popular choice for curved stair design. 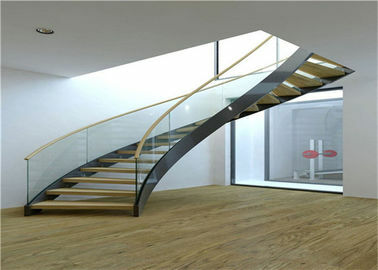 Curved stairs regularly feature handrails on both sides, which are usually formed from stainless steel or timber. 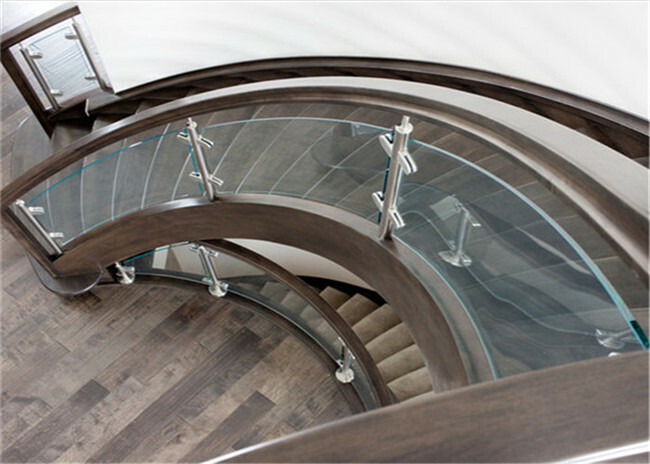 Glass balustrades are another popular feature used to complement a curved staircase, allowing light to travel throughout a space.